The key to using Logical Soul® as a coaching tool is to understand that is powerful, not only for your clients, but also for you as a coach. The Logical Soul® is all about personal transformation, i.e., changing the nature of who you are, changing how you function and manage life situations, changing the condition of your life. 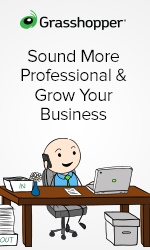 I have been involved with Logical Soul® as a client, Intern and student for about three years. During this time I have found LS sessions to be completely unique and not like therapy, counseling or psychic readings. Logical Soul® – simply speaking – is a process that has helped guide me to manifest the changes I wanted to see in my life. In order for this process of transformation to be effective, however, I suggest you do a few things. Read the book, then read it again. I scanned through it to read the sections that I wanted to explore because the information resonated with me. After I attended more meet-ups and had more sessions, I read the book again, cover to cover. I now have a much better understanding of what I’m looking at after a session, and what it takes for me to get where I want to be. Take notes on your sessions. If you jot down key phrases, memories, and probing questions, you can go back through the book to find out how a particular issue is addressed. This step, by the way, is vital if you are doing sessions with others! Keep a journal or notebook of what comes up for you after a session. After a few particularly powerful sessions, issues started exploding like popcorn for me. I jotted them down on sticky notes and reviewed them to consider that I wanted to address in my next session. This step helped me get clear of not only the issues, but also the fact that I made such rapid progress! Using the Logical Soul® as a tool for transformation is like peeling the layers of an onion. When you uncover one issue or hidden decision, it can lead to other decisions you want to address. Sometimes, however, peeling back just one layer may do the trick, and it’s possible that only one “linchpin decisions” is the one holding you back. I have also witnessed that breakthroughs are unique to the person having the session. The issue can seem so small that it appears to seep out through a pinhole. I’ve also seen sessions when the energy came on like gangbusters and washed over the whole group like a wave. Breakthroughs can come after one session or several. If you find your issue resolved immediately, great. But it may also take several sessions to reap the full benefits. While practitioners and subjects get the most out of a session, I’ve found that, just by observing a Logical Soul® session during one of the Meetups, I got tremendous benefit from it. Others have reported this effect as well. Because the subject may be experiencing issues similar to yours, their willingness to share the transformation makes it powerful for everyone present! You can also receive sessions via phone or Skype, but do your homework beforehand. Get to know your “issue” as thoroughly as possible so you can share it when the time comes. 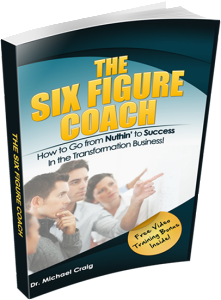 This will help you experience a deeper understanding of the process and of yourself. 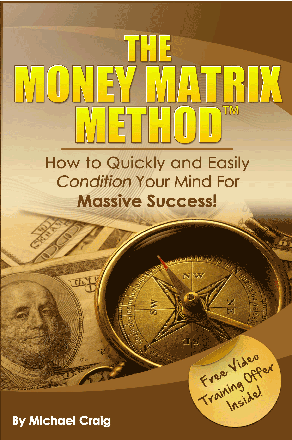 It will also give you a much greater appreciation for the insights and improved results you will receive. 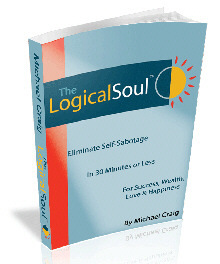 I am in the process of becoming trained in the Logical Soul® and am finding the more I learn, the more I want to know. I’ve discovered the simple power of what Dr. Craig calls “Divine Listening,” and am discovering more and more layers within myself. It takes a while, but eventually something will click, and you’ll get it. When that happens, perhaps you will recognize, like I did, that you are right in the middle of a transformational journey that will be with you forever. Whatever your experience is, examine it, embrace it, and enjoy your results!